Why do we need an image? 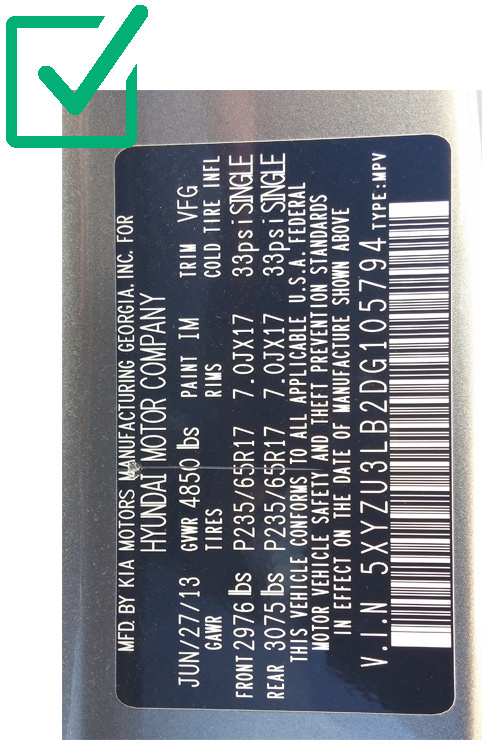 The label image provides us with information to accurately provide you a new label. We recommend zooming out, moving the camera away from the label, or turning macro settings on [usually represented by a flower] if available. 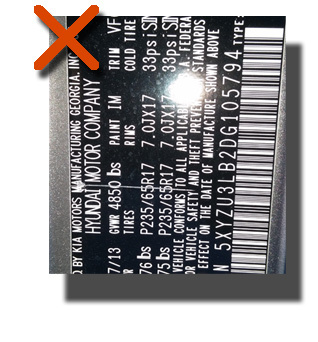 We recommend taking photos head on instead of at an angle to ensure text is readable and none of the label is cut off. We also recommend taking photos in bright or natural light. Problem? 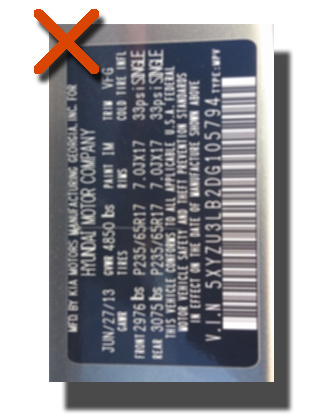 Flash used and part of the label is missing. We recommend turning off the flash when taking photos and making sure the entire label’s included. Check photos before uploading to avoid these common mistakes. Label is out of focus. 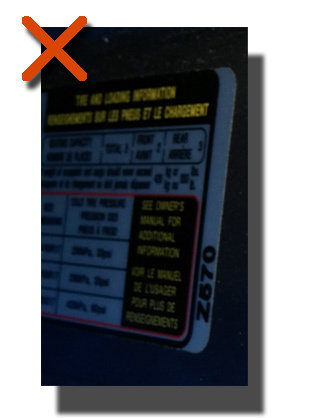 Label text is unreadable due to darkness or light reflection. Photo is taken from too far away. Photo is taken at a sharp angle. Take your images first and save them to your computer. Use the macro setting if your camera has one.